Are you spending this winter in the Netherlands? Winter in the Netherlands takes place from December to February and can be pretty cold, wet, windy and most of all, unpredictable. Often the weather tends to change several times a day, which is true not only in winter, but basically throughout the whole year in this country. But when there is a big pack of snow on the ground, the Netherlands sure does look magical… And if you’re aren’t so lucky and there isn’t any snow to play with during your winter visit in the Netherlands (unfortunately it’s more often wet snow that melts than snow that stays), there are still loads of other fun things to do! 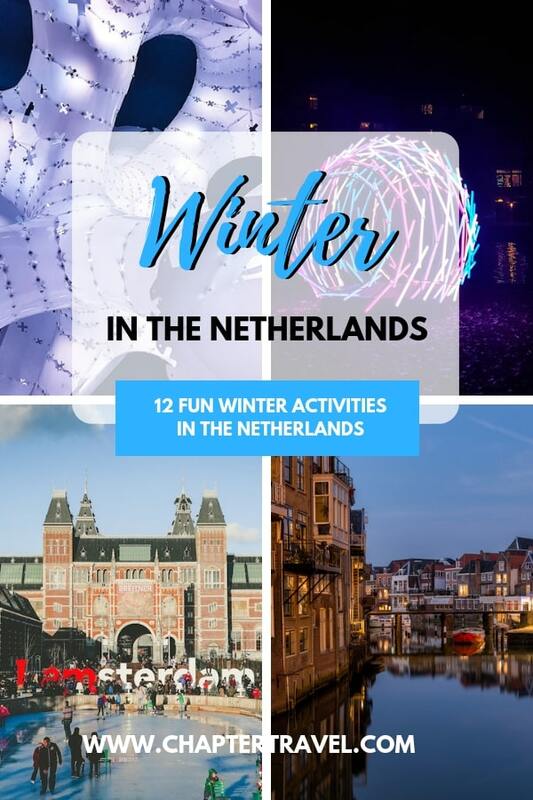 In this article you can find lots of fun activities and events that take place during the winter in the Netherlands, so you’ll have a blast for sure! Over 10 wonderful travel bloggers helped me write this post. Be sure to check out their blogs. 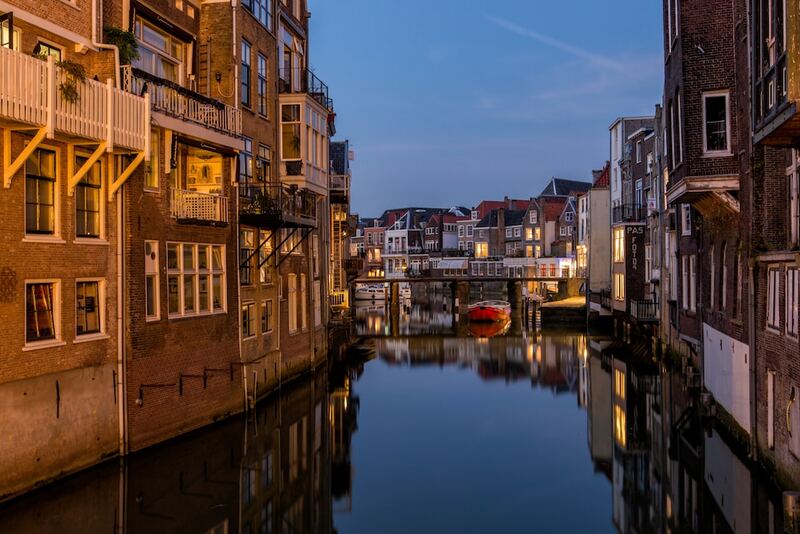 Grab a cup of hot chocolate and start planning your trip to the Netherlands! Possibly the biggest film festival in the Netherlands, International Documentary Festival Amsterdam (IDFA) takes place every November all over the city. 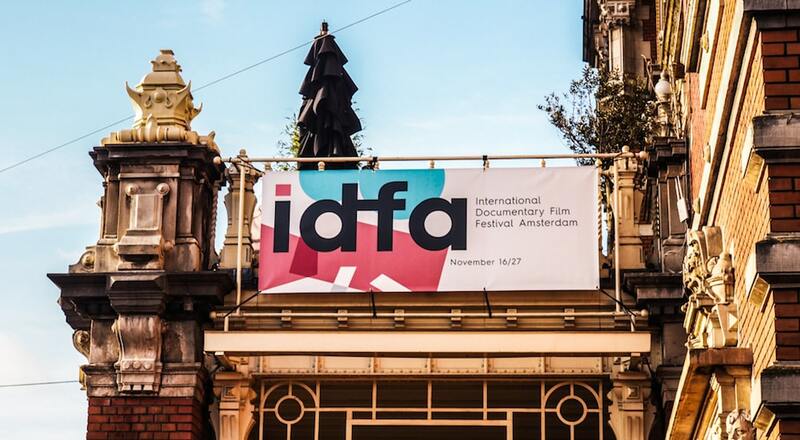 For over 30 years, the IDFA film festival has allowed film lovers and cinephiles to take shelter from the strong winds and dropping temperatures in one of Amsterdam’s many independent cinemas. And there are quite a few! There’s no better place to escape the weather than a warm cinema screen with cosy chairs. The film festival offers film fans hundreds of fantastic documentaries from all around the world to watch over 11 days, and there are many child-friendly screenings. Since 2012, the EYE Film Museum has been the central hub of IDFA, offering a place to see and chat about films over a coffee or beer without even having to leave the building. Written by Rebecca Sharp of Almost Ginger. 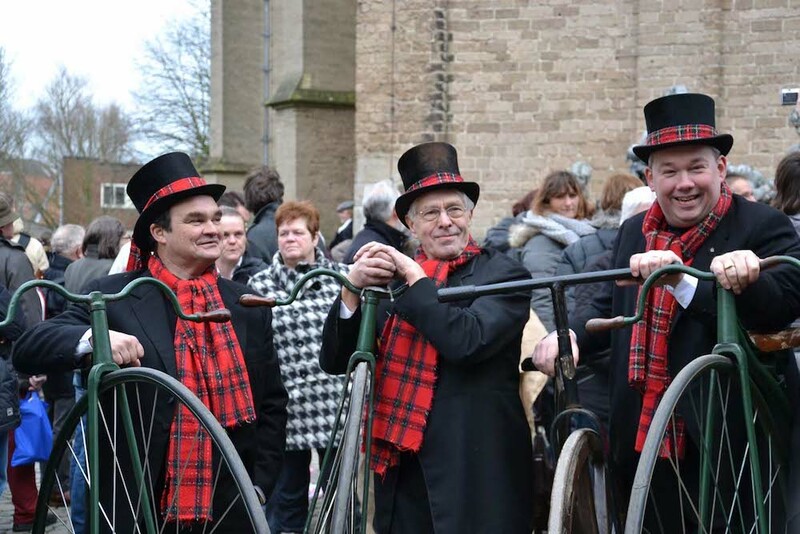 During the Dickens Festival, which takes place on 15 and 16 December this year, part of the Deventer city center will be transformed into an English city from the time of Charles Dickens. The already very cozy historic streets of Bergkwartier will be full of Christmas decorations. The streets are filled with actors who walk around in traditional clothing, but also many locals from Deventer put on their historic outfits each year. Smart children put on some rags and earn a little pocket money that weekend as a “wanderer”. In addition, there are plenty of stalls selling “hot-wine” and other delicacies during the week. It’s a super fun experience! Written by Tikva of Gezin of Reis. Going to a classical music concert in the Netherlands’ premier concert venue Het Concertgebouw is a special, gezellig experience no matter what time of year you go, but there’s something special about going to watch and hear Christmas carols being performed there in the run-up to Christmas. Not only do you get to admire the beautiful, grand interior but you get to feel super Christmassy after singing along with some of the songs you know and love. Make your evening even more festive after the concert is over by heading across the road to the stall selling oliebollen – a traditional Dutch sweet treat served in winter – that is usually positioned right in front of the grand Concertgebouw on Museum Square. Lekker! Written by Frankie Thompson of As the Bird Flies. 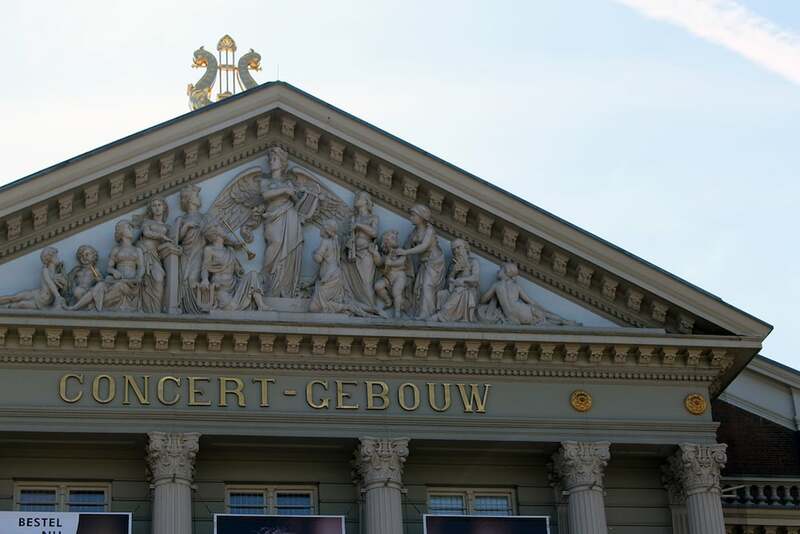 Tip: Check out these tours and events at the Concertgebouw and get your tickets! I remember so well that that as a child every winter I stood on natural ice and slid down snowy hills with my sleigh in the Netherlands. In one way or another (global warming?) nowadays this seems to be less and less common, and Dutch winters are often a combination of icy wind and wet snow. Until the winter of 2018. 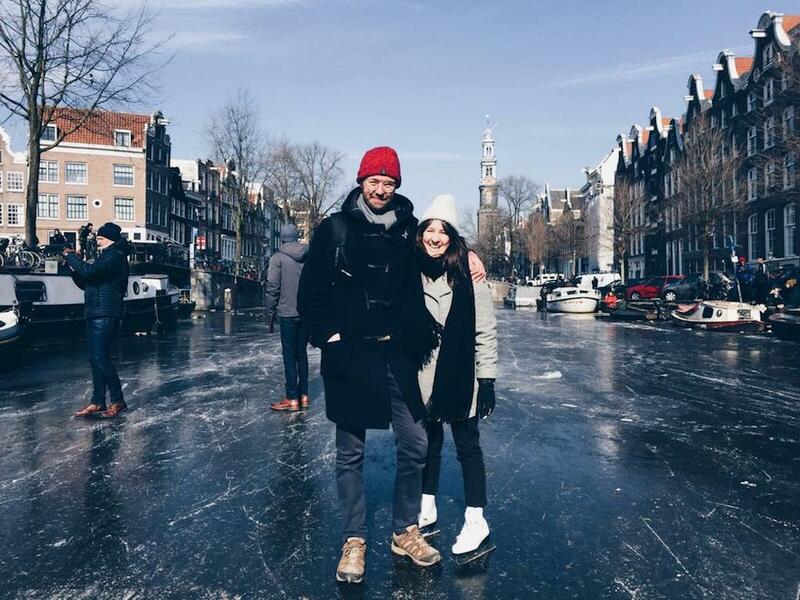 We had to wait 7 years, but it was finally possible to our skate on the Amsterdam canals. I have rarely seen so many happy Amsterdammers together. It was almost world news, and on many international media there were videos and photos. Unfortunately, the joy was short-lived, and after 2 days the ice was already a lot thinner. Because of the large number of skaters, the canals became very watery, which caused a lot of wet clothes. With a bit of luck, the canals will freeze again in the next few years. The best tip I can give: take your chance! Written by Victor Eekhof of Victors Travels. 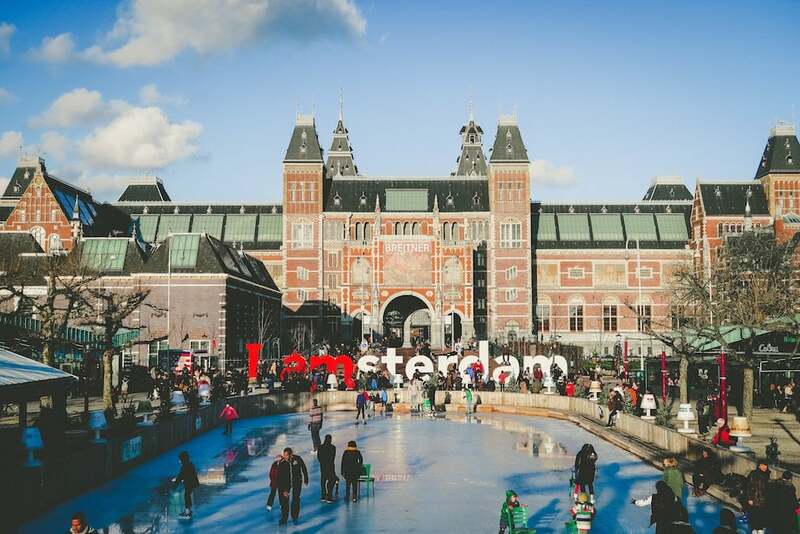 If the canals aren’t frozen, you can always go to the ice rink in front of the Rijksmuseum! Magical. That’s how I would describe the first time I went ice skating at the Museum Square! The bare trees in the square had Christmas lights, and the Rijksmuseum was lit up in the evening. Afterward, I went for a hot chocolate near the arena, and it felt like I had just had the perfect winter evening in Amsterdam. There is no activity which gives you more of a winter feeling than ice skating. Better yet if you’re doing it in front of the perfect backdrop for any photo, the Rijksmuseum. It was a fantastic night, but don’t think that I can ice skate for real (I used a chair in front of me so I wouldn’t fall). Well, at least I tried it, and I can tell you this: it was so much fun. Written by Bruna Venturinelli of MapsNbags. 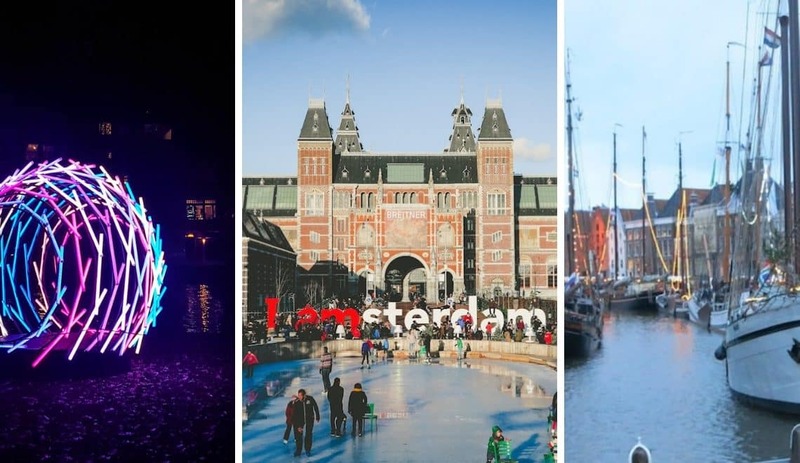 Tip: Check out this Amsterdam Christmas Tour with a local guide. Ice skating is a typically Dutch activity. But these days, you’ll be hard-pressed to find canals to skate on. Luckily, there are skating rinks throughout the Netherlands. 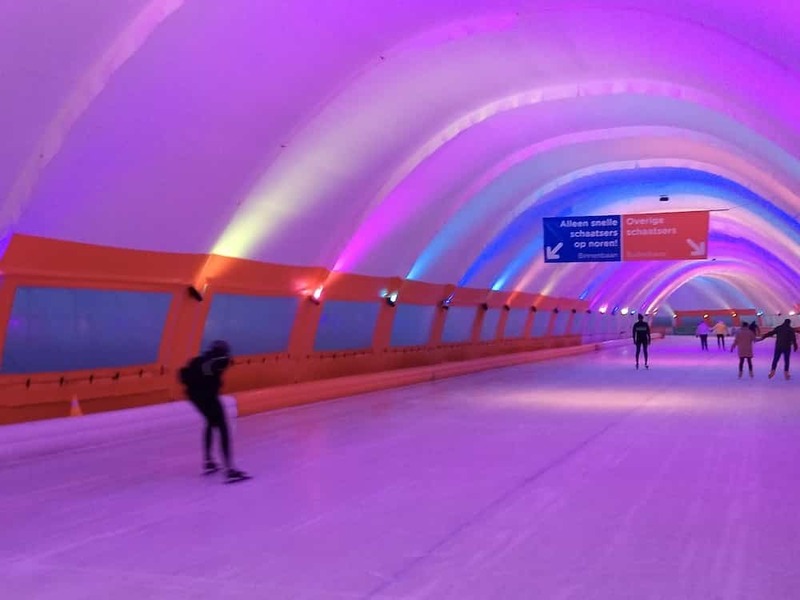 If you find yourself in Rotterdam during winter and have a few hours to spare, the Schaatsbaan Rotterdam is great fun. It’s a 400 meter enclosed rink that’s located just outside the city center, easily accessible by tram (or of course bike for you heartier folk). The rink is open all day, but when night falls and the rainbow lights turn on, the skating experience becomes extra gezellig. You can skate around in circles to your heart’s content – or until you need to catch your breath. In those instances, it’s also fun to watch the incredibly skilled skaters fly by. Or you can grab a drink or a snack at the rest area until you’re ready to start up again. We can’t wait till the Schaatsbaan opens to get back out there. This season, Schaatsbaan Rotterdam is open 1 December 2018 through 27 February 2019. Get your entrance ticket and rental skates here. As in many cities in Europe, here in Groningen a Christmas market is held every year. What makes ours, called WinterWelVaart, special and different is its maritime theme. 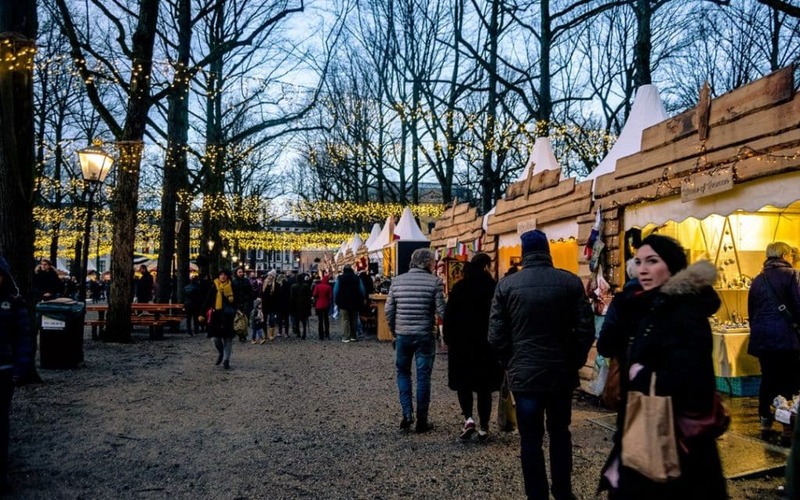 We have the usual stalls selling handicrafts, food, and gluwein (mulled sweet wine), but those stalls are arranged along the banks of a canal that used to be a center of activity in this important market city, once a member of the Hanseatic League. Historical canal boats moor along the canal for WinterWelVaart, and visitors can board them. Art exhibits, concerts, and other performances take place in these cozy, small spaces, making for a wonderful, warm atmosphere. The nearby maritime museum (Scheepsvaartmuseum), housed in one of the oldest buildings in town, also holds events. 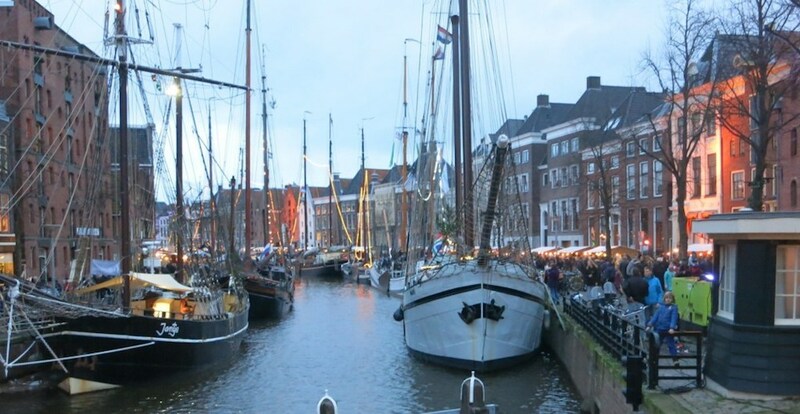 This year’s WinterWelVaart will take place on December 21-23. See you there! Written by Rachel Heller of Rachel Ruminations. Dordrecht is one of the most beautiful cities in The Netherlands, and not overrun by tourists. That alone makes visiting Dordrecht a good idea, no matter what season you are in The Netherlands. But, visiting Dordrecht during winter is one of the best things you can do in The Netherlands. Why? First of all, the biggest Christmas market of The Netherlands is held in Dordrecht. The Christmas market can be visited from the 14th until the 16th of December 2018. Second, walking through a city that is not well-known to foreigners will bring you closer to experiencing the real Dutch culture. You will see how Dutch people experience winter. All of that while walking through the cosy cobblestoned city of Dordrecht, with its beautiful canals and canal houses. Admiring the Christmas tree and the lights that are spread throughout the city. And finally, you will break away from the cold, snowy and windy environment. Get into a cafe and order a cup of tea while observing Dordrecht in the winter state. It’s a magical feeling. Written by Manon van Schagen of Visiting the Dutch Countryside. The best thing to do is walk around the various stalls, sip on a gluhwein or a hot chocolate, and look for unique gifts. Just be sure to check the dates as some cities (such as Haarlem) only have Christmas markets that last just a weekend while others (like Maastricht) have Christmas markets that last for the entire month of December. Written by Karen of Wanderlustingk. The Netherlands has many museums that are worth a visit. Why not spend some time soaking up culture when it’s cold and wet outside? Famous museums, like the Rijksmuseum in Amsterdam, are a great choice, but you can also pick something less ‘obvious’. Haarlem is only about 15 minutes away from Amsterdam by train. A perfect day trip. The Teylers Museum in Haarlem dates back to 1784. 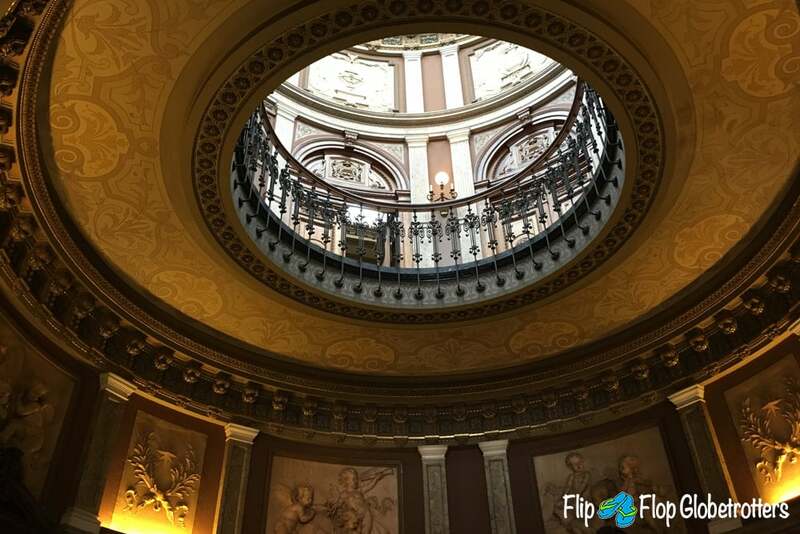 We’ve visited the Teylers Museum a number of times with our little boy who loves to visit museums. The Teylers Museum has a strange collection of weird and wonderful items, such as ancient scientific instruments, fossils and minerals, old coins, but also paintings and valuable books. It’s one of the oldest museums in The Netherlands, with an authentic museum interior from the 18th century. Worth a visit for the building alone. Written by Lisa of Flip Flop Globetrotters. Featuring artists from all over the world, the Amsterdam Light Festival takes place every year in the Dutch capital from December to January. 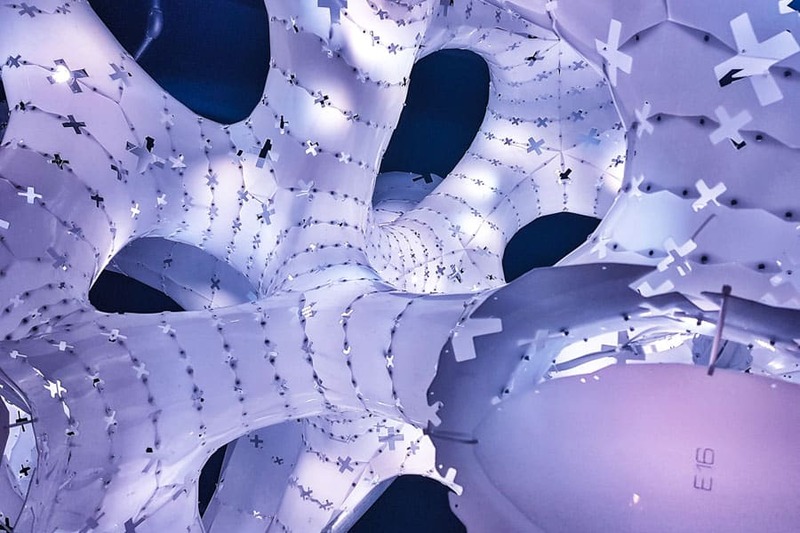 For this yearly winter event, selected artists create artworks around a specific theme using light, which are displayed along a couple of routes in the city centre. To visit the exhibition, you can either go on a boat tour that takes you along a route on Amsterdam’s canals; or you can get a map at the information point and follow the route along the streets. It’s also possible on foot or by bike, on your own or as part of a guided tour. The choice is yours! This year the theme is “The Medium is the Message”, a famous statement once made by Canadian intellectual Marshall McLuhan. Visiting the Amsterdam Light Festival is well worth it, not only to see the city under a different light but also because you get to see some interesting art installations by some amazing artists, such as Ai Weiwei’s piece for last year’s edition. Written by Bianca Bauza of Nomad Biba. Tip: Experience the Amsterdam Light Festival on a canal cruise! Click here for more information and tickets. The Efteling is a magical place in the Netherlands, but the Winter Efteling is even more magical! Think of thousands of lights, winter treats, bonfires and snowy pines… And of course the Efteling has a lot of amazing rides, such as exciting rollercoasters, enchanting attractions and wonderful parkshows. 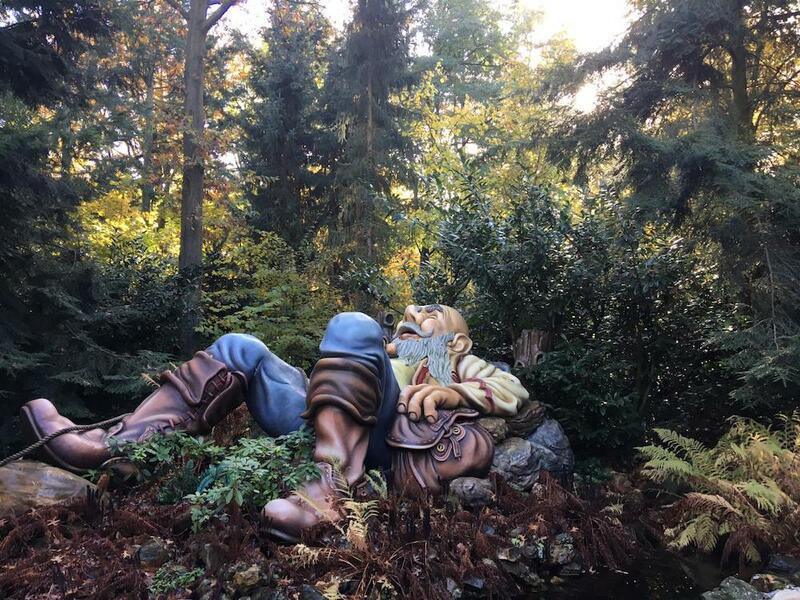 The opening hours of the Winter Efteling are from 11:00 until 18:00 each day. Get your Day Admission Ticket for the Efteling here! We hope you have a magical time during the winter in the Netherlands! Let us know in the comments if you have any questions. wow these are so cool stuff. I loved Amsterdam when i visited in Spring. Can’t imagine all the canals freezing and people iceskating on that! This is so cool! I had never thought of the Netherlands as a Christmas/winter destination and now I am all for it. I didn’t know the canals could ice at times! These are such great tips! I was in Amsterdam last winter, and I was so hoping that the canals would be frozen over for a bit of skating, but I think the temperature was just short! So I’ll have to go back, and use this guide for some other fun activities too! These look great Lisanne- I’ve only been to Amsterdam in the summer but now considering a winter trip. Thanks for the tips!